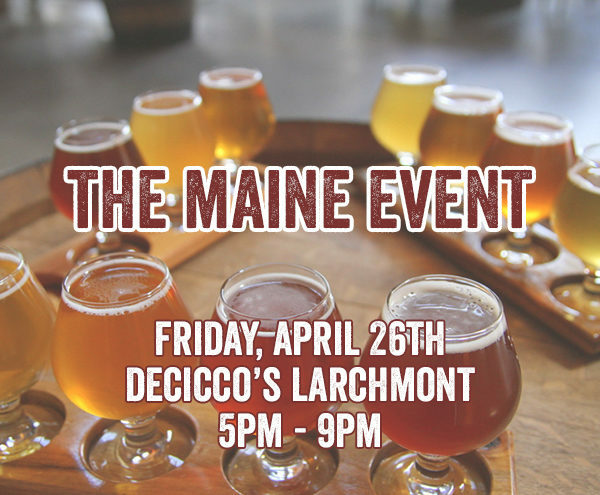 Join us Friday, April 26th for a Wicked good time and some of the best beer coming from our friends up north at the Maine Beer Company. We’ll have a full lineup of the best the brewery can offer including the new release, Spring, and the white whale, Dinner. Being this close to the Connecticut state line, we’ve always looked longingly over the border at all of the incredible beers produced by New England Brewing Co. Well every once in a while we get the opportunity to serve their beer and guess what! May 2nd 5pm – 9pm is one of those opportunities! We’re incredibly excited to host NEBCO for the first time in over 2 years. We’re lining up an awesome selection of some of their exciting new beers along with NEBCO classics. This is gonna be a fun one, see ya there! Join us Friday May 10th From 5-10pm as we welcome the crew from one of Brooklyn’s hottest new breweries, Five Boroughs Brewing Co., to Decicco’s and Putnam County. Hang with the guys and get to know their core beers and limited specialty draft. As many of you already know, we love St. Bernardus here in the Armonk pub. We’re happy to say we’ll be hosting Marco Passarella, sales & marketing manager for St. Bernardus, for an afternoon of Belgian beer! 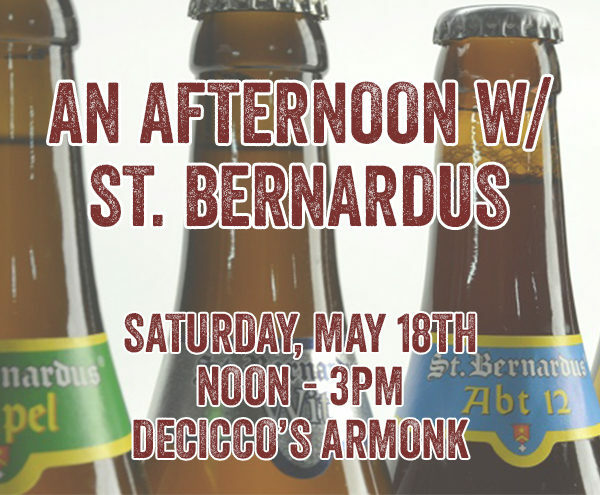 We’ll be offering a selection of St. Bernardus beers in both draft and bottles for you to enjoy while chatting with Marco about Quadrupels! The 7th event in our Beer Dinner series, we are excited to feature a variety of Tapas courses from around the world. Each course will be paired with a unique craft beer for maximum enjoyment! May 31st AND June 1st, 6-9 PM. Event repeats both nights. No menu substitutions.